The main purpose of an integrated playout (or Channel-In-A-Box technology) is to reduce the many parts of the traditional playout system and master control (graphics, servers and switches, routing, audio, channel branding) into a single integrated software application that operates on a generic IT-based hardware. This way, the integration simplifies installation and maintaining processes. Backup of broadcasting channels is implemented through the synchronization of at least two VSNONE TV systems: main and backup. IP Streaming, H.264, HEVC Support IPTV/DVB will work via onboard Ethernet port. 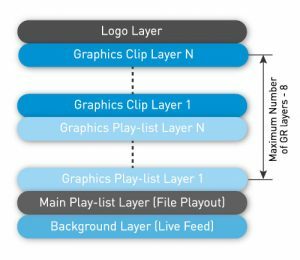 VSN’s integrated playout includes sophisticated graphic capabilities and a range of branding workflows, designed to minimize the operating costs associated with the productions of rich graphics. 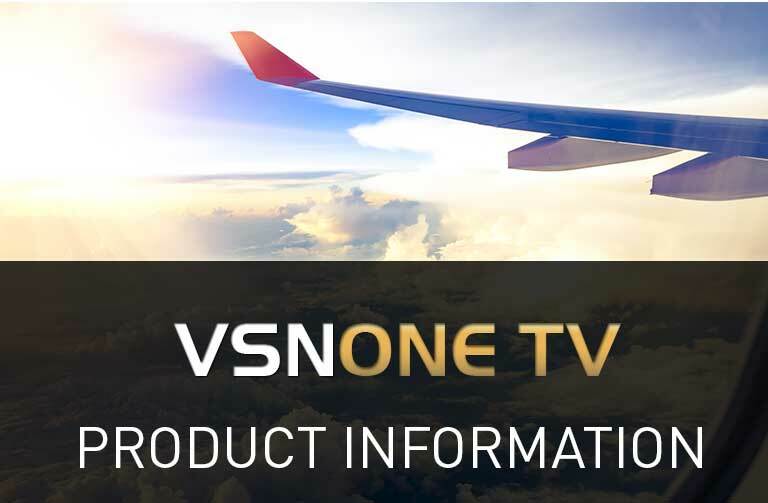 VSNONE TV adapts to your specific requirements of ingest/playout channels and data capacity. From 1 to 4 ingest or playout channels and from 6TB to 12TB of internal storage, with higher capacities from 16TB to 96TB using an external storage module (RAW storage). We guarantee that you will get the required system that will fit your needs. Fully integrated VSNONE TV Servers have on-board automation control, media storage and media DB, Fully integrated Multiviewer Ouputs, External Routers and VTR control and GPI, Time Shift delay, DVB Subtitling & Closed Captioning. Our Channel-in-a-Box solutions is capable of managing the whole workflow of any TV channel. Find out how with our exclusive demo! During the playout process, the servers carry out frame-accurate routing in accordance with the events in the playlists, controlling the external routers through RS-422/232/Ethernet interfaces using Harris/Leitch, Evertz, Network, Snell, Miranda and other protocols.This is an “external” program switching mode. As long as the “Channel-in-a-Box” technology’s popularity grows, servers begin to carry out more and more functions, what simplifies the scheme of broadcast system creating. VSNONE TV server is now not only a source, it is capable to implement internal clean switching of the “not-in-sync” input signals with those ones that are generated during files playback, according to the play-lists. This scheme requires no sync generators, DSK/LOGO modules or extra graphic design servers. Being a part of broadcasting or live-production studio, the VSNONE TV server may be used as a multi-functional graphics design & playout station, which will tie graphics into the propagating video and format multi-layered compositions consisting of captions, scrolling text, video effects, on-screen graphics, logos, animated banners, live video fragments, Chroma Key, and 2D effects. Each output (program) channel of VSN’s integrated playout contains up to eight simultaneously functioning virtual channels for graphics output. Each channel contains its own playlist, with playing back graphic events. Each event may contain a multi-layered combination (without limitation on the number of layers) of text/graphic events. Dynamic compositions technology is designed for Branding, Promo, TV News, Weather Forecasts, Economic information, Music Channels, etc. In addition to text and animation, compositions may contain 2D effects, elements of PIP, video, and live sources from server inputs, and audio track mixes. Functions for the automatic parameterization of text objects contained in compositions have been implemented in VSNONE TV server line. A flash video shows an example of the composition using PIP and simple captions. Animation may be played in the form of a file chain or from avi/mov files from alpha-channel. 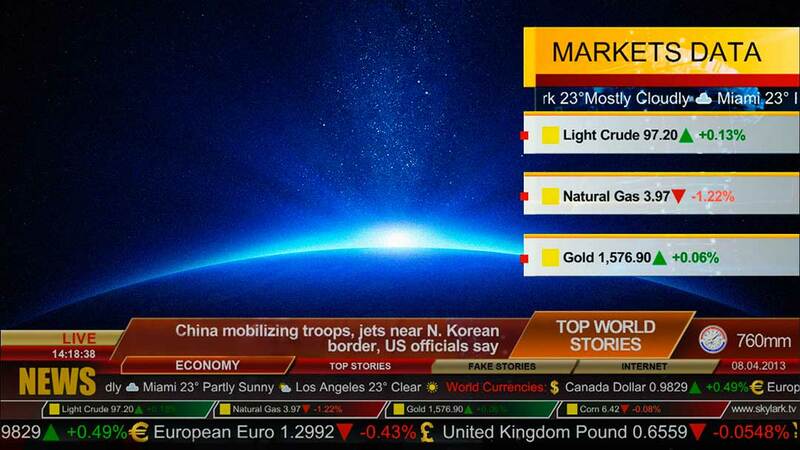 Logos, captions, scrolling and crawling text are played back on dynamic backgrounds. Number of these objects is unlimited; upon generation of the format, they may be combined free-form with any other graphic objects. In addition to text, images may be used as moving objects. The content of scrolling text may change dynamically due to the reading of RSS information. Do you want to see VSN's integrated playout in action? 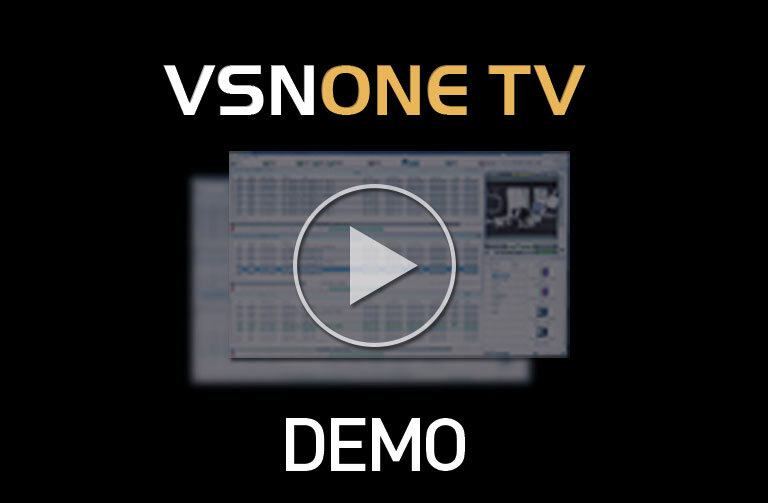 In this Webinar, we have a close look to VSNONE TV, VSN's Channel-in-a-Box solution with advanced features to manage all parts of a TV channel.